That is some awesome by catch! Tip for next time, keep a musky rod with you for those times where a walleye bite should be hot, but turns out dead. They are usually hiding from something much bigger. I caught my PB ski that way. Eyes were hot then the bite died abruptly, I picked up my musky rod that had a sucker crankbait on it then wham on the next cast. I caught my PB ski that way. 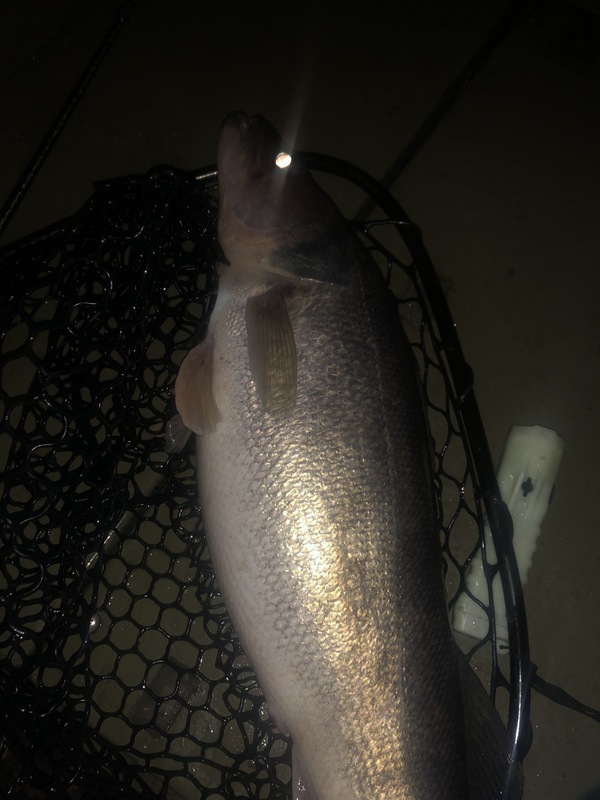 Eyes were hot then the bite died abruptly, I picked up my musky rod that gad a sucker crankbait on it then wham on the next cast. Thanks BB! 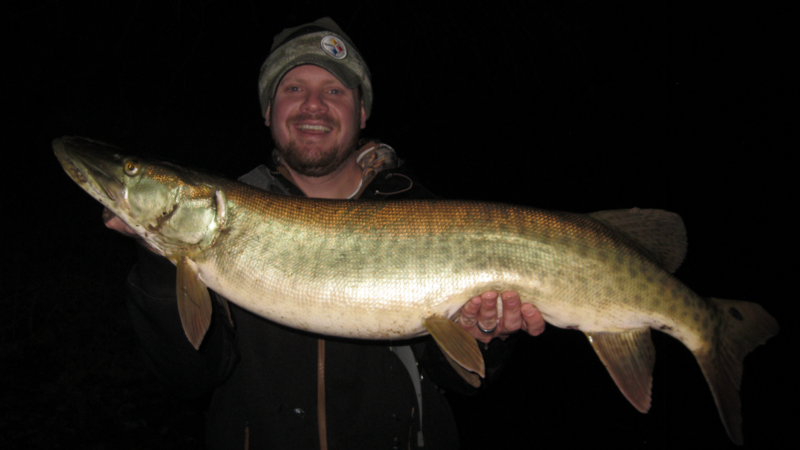 That’s a great tip man... sometimes it could pay to bring your musky gear along for sure. Before catching that fish Dad and I were commenting how there may have been an active musky or two that had them spooked—turned out that may been true. 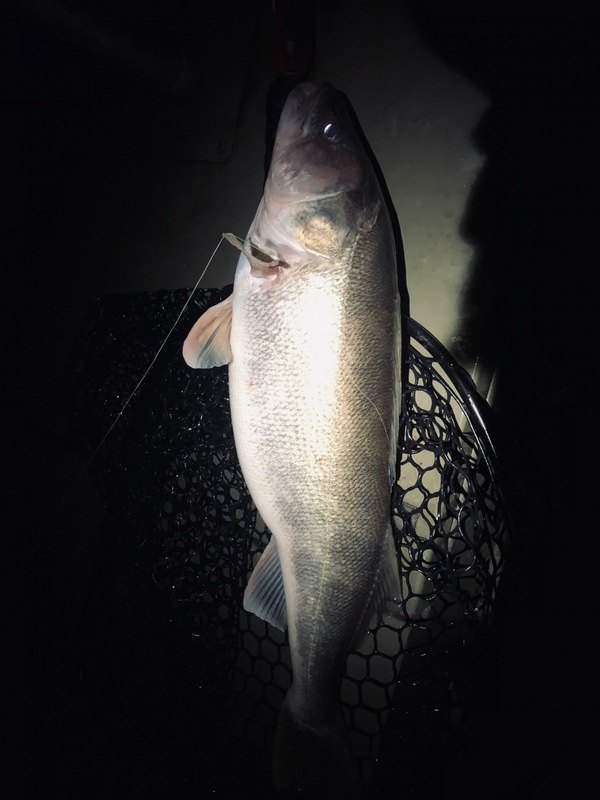 One of my favorite things about walleye is the way they hit or “chomp” a bait... Much less subtle than most bass in cold water. I like that "chomp" feeling myself. 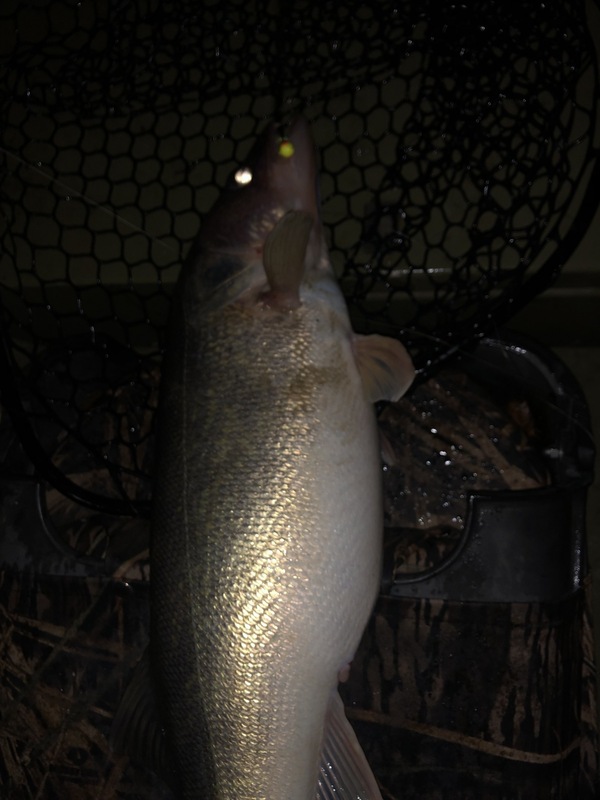 Last night though I could not get past the buffalo as they were slamming my stick baits before the walleye could. Unfortunately, because buffalo have such small mouths it is incredibly difficult to keep hooked up as the hooks have to catch just right on their lips. The one fish that stayed pinned on sky rocketed out of the water about 3ft twice in a row right after the hook up. I don't know why, but in cold water buffalo become very aggressive and predatory. I couldn't get them to hit the jig though, just the stick bait. 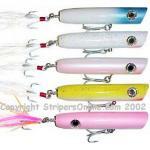 Awesome Musky TJones!! 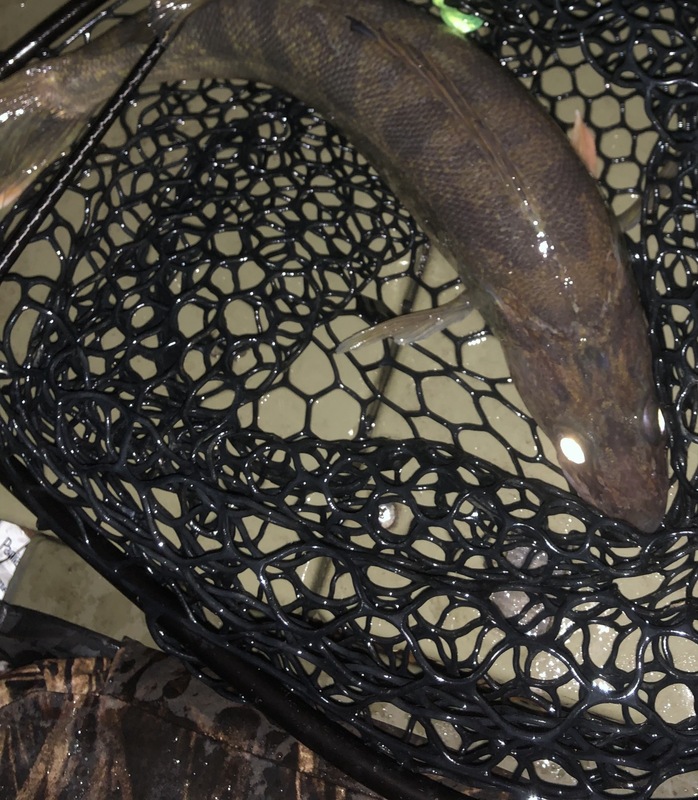 Always surprised how many you find accidentally while walleye fishing. That’s a great fish!! I got into a few good ones the other night. 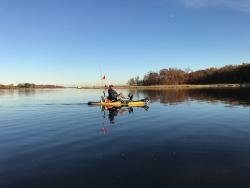 Not happy about all this rain really going to put a damper on my fishing. Nice! Looks like a serious fish. Looks like a fish you’d catch in March ready to spawn. Actually 3 different fish. One 30.5” one 29.75” and one around 23-24”. First 2 broke my PB within 15min of each other. They looked exactly like females ready to spawn. My guess is they gorged themselves during the brief rise in temps last week. Released those big girls need to do their thing this spring. Actually 3 different fish. One 30.5” one 29.75” and one around 23-24”. Rapid, those are beast walleyes anywhere... Great work man! Huge bellies on those fish. Congrats on the release also! 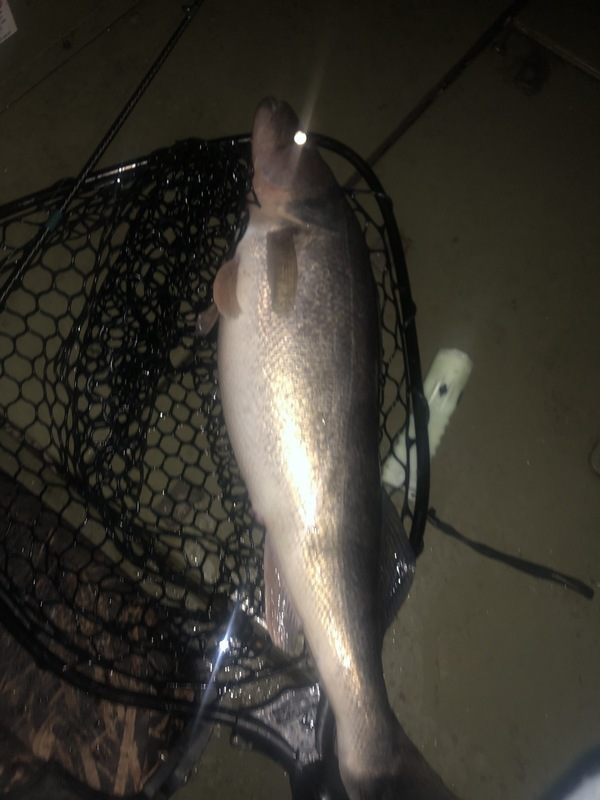 Don't let all the rain deter you or damper your fishing, like I have said all my best walleye fishing has been done in the nastiest of rainy nights. Yeah, guys on this forum spent a lot of time talking about the rise and fall of the river height. Still, just keep plugging away.